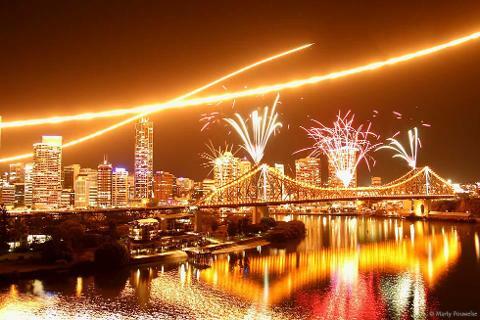 The most popular night on the Brisbane River. 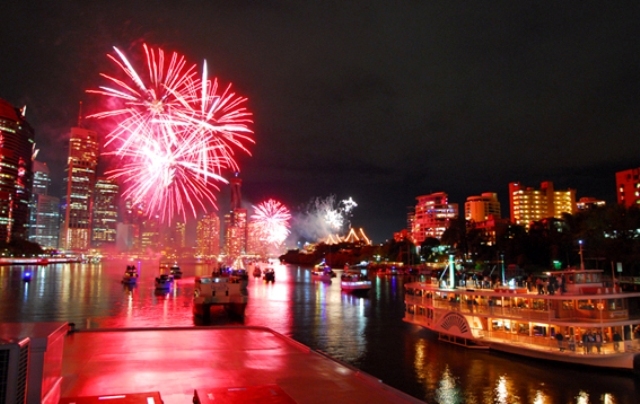 Designed to celebrate our River with dazzling fireworks from the City's buildings and bridges. 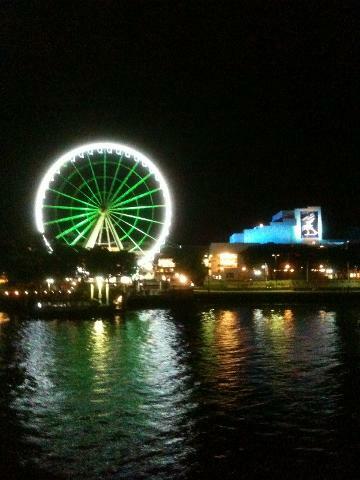 Before the river is closed, we strive to get the best viewing anchorage to see the river activities and the Fireworks. 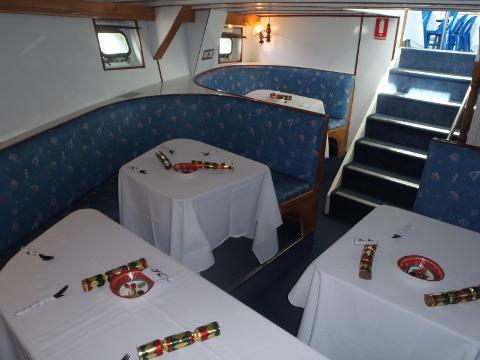 Before the spectacular Fireworks show, enjoy a casual dining experience while we cruise our beautiful Brisbane River. **NB Due to quarantine restrictions and our support of our Australian prawn industry, we will no longer be serving ready made prawn skewers on this cruise. We will, however, be serving equally delicious alternatives. 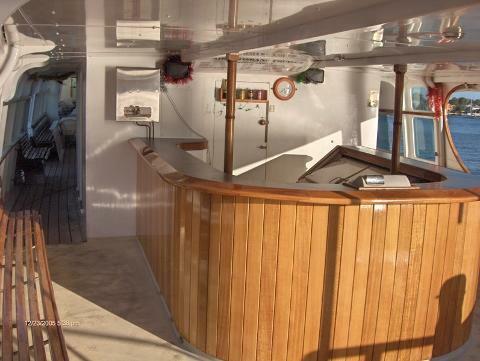 MV LADY BRISBANE: Our stylish ship of timber construction is perfect for this popular river cruise. You can dance to the music on the dance floor or marvel at our Brisbane city lights and iconic landmarks on the other two decks. There are internal stairs and ample cover in the event of rain. 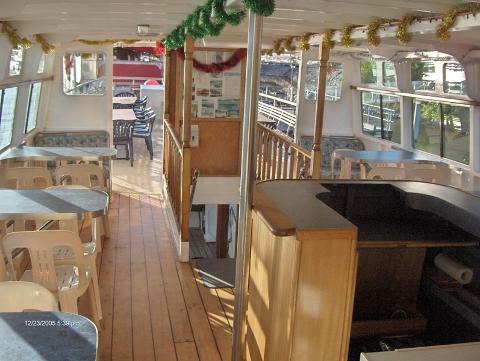 QUALITY: We are the longest running family business on the River. Our food is fresh and bought at local markets daily. Your quality is assured. * Book ONLINE now OR call our Fabulous Booking Crew on 07 3630 2666 for more information and to book.